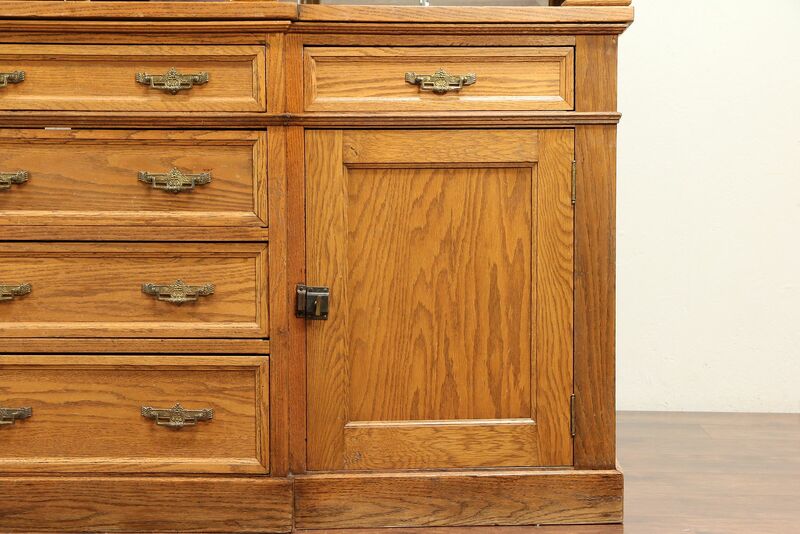 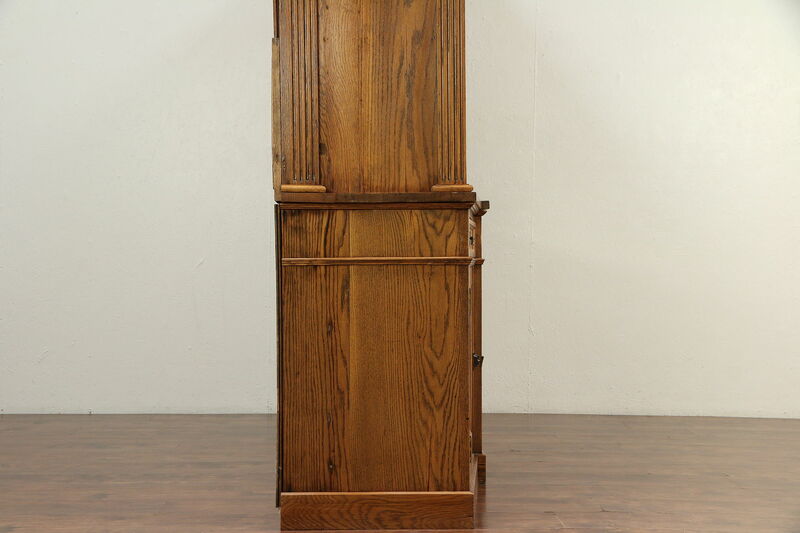 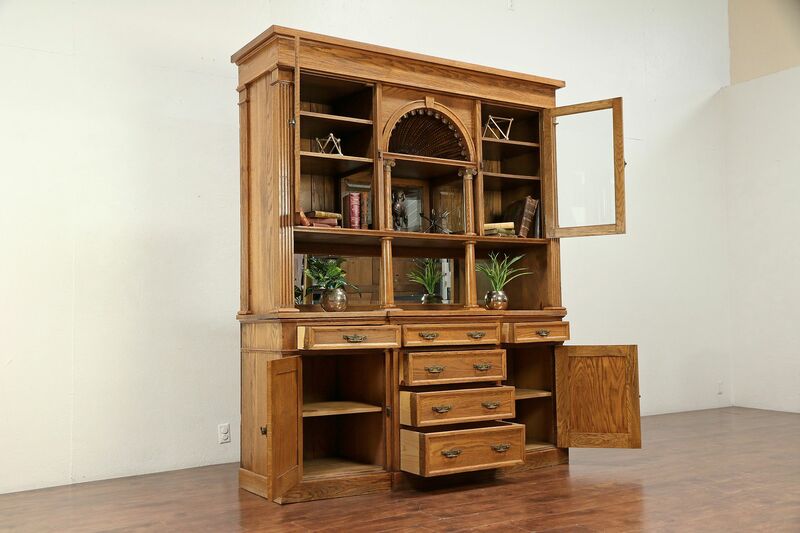 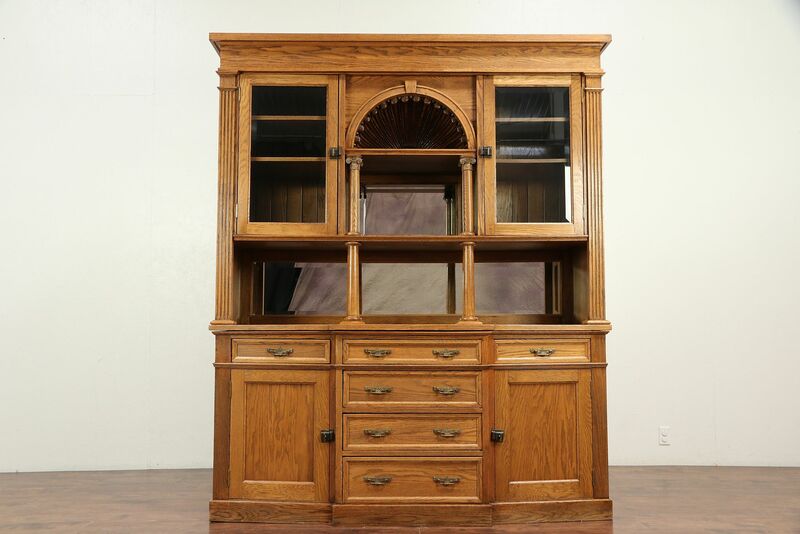 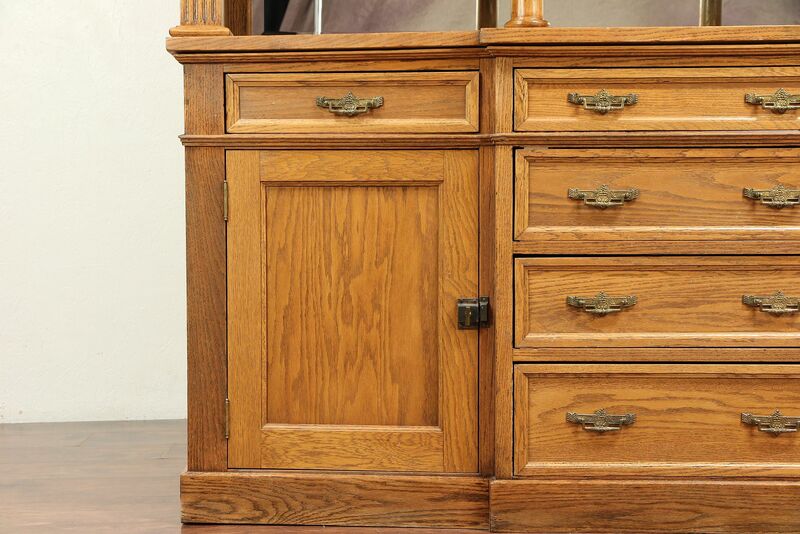 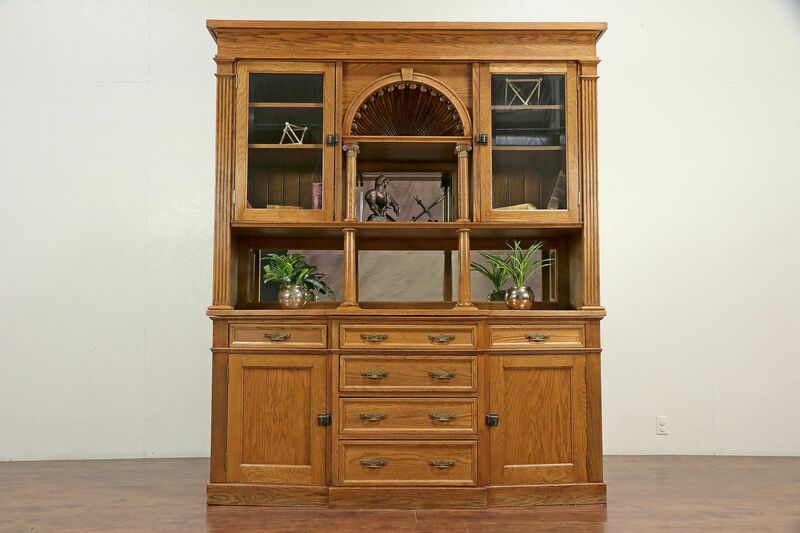 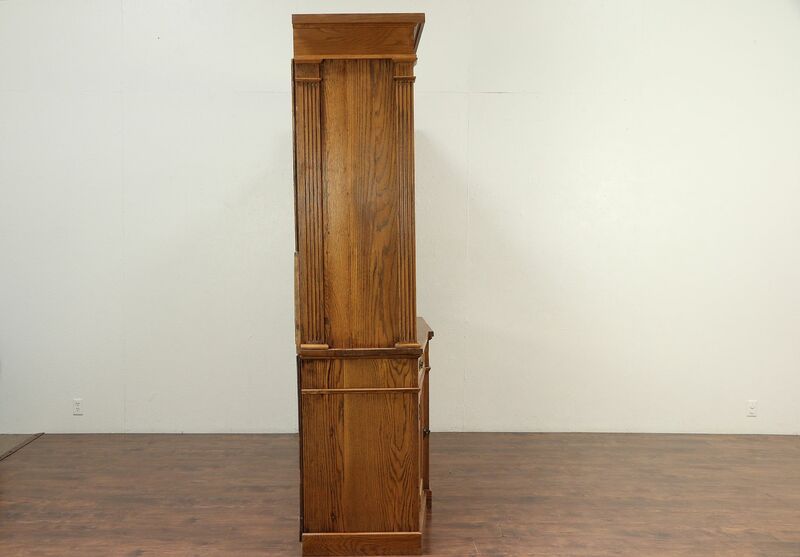 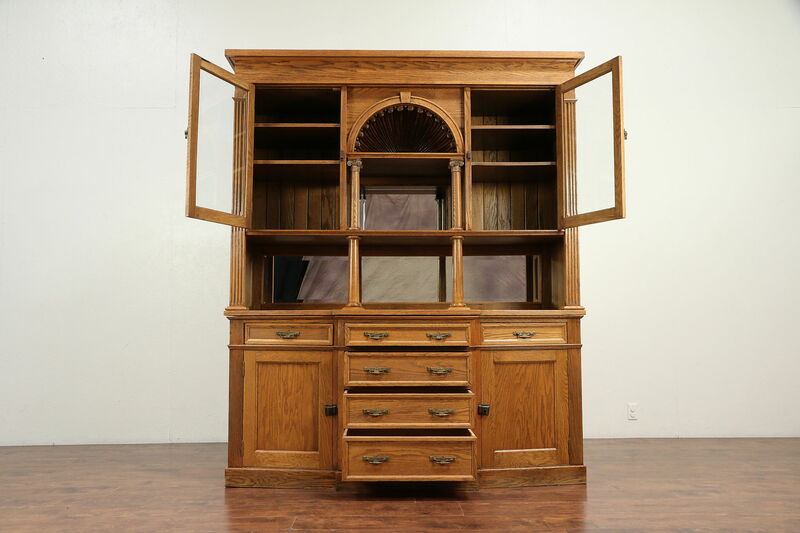 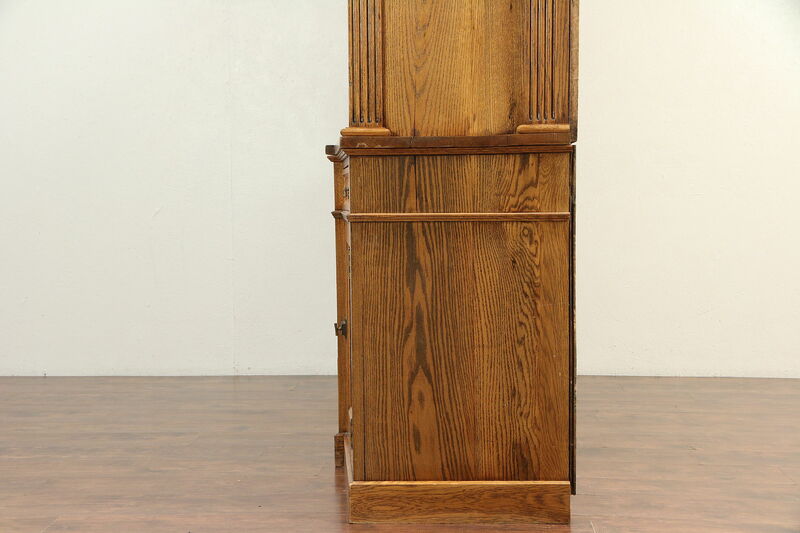 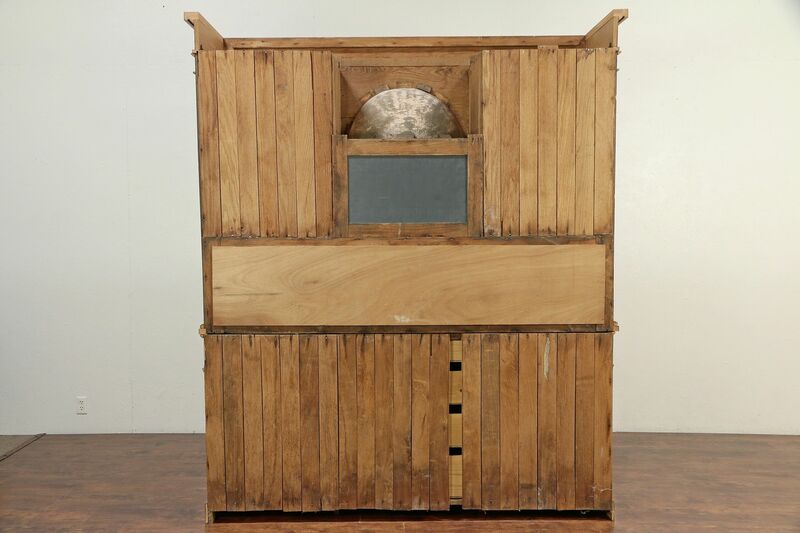 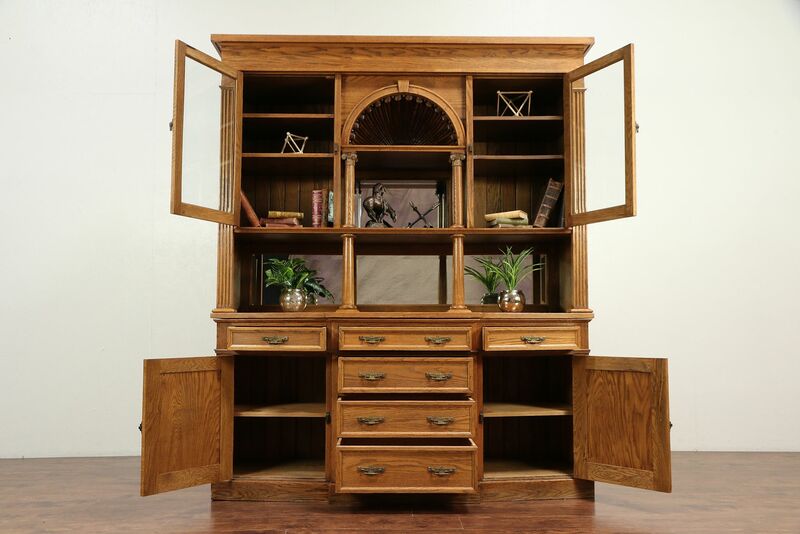 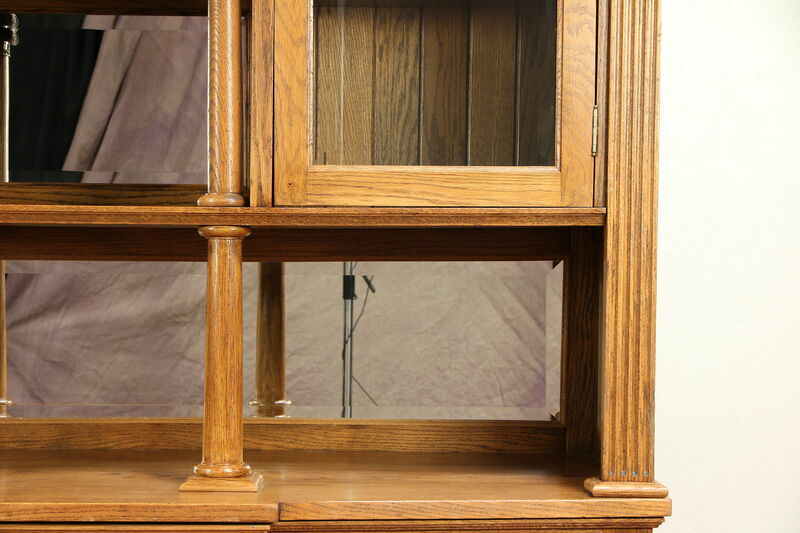 This imposing solid oak china cabinet, back bar or sideboard dates from about 1900. 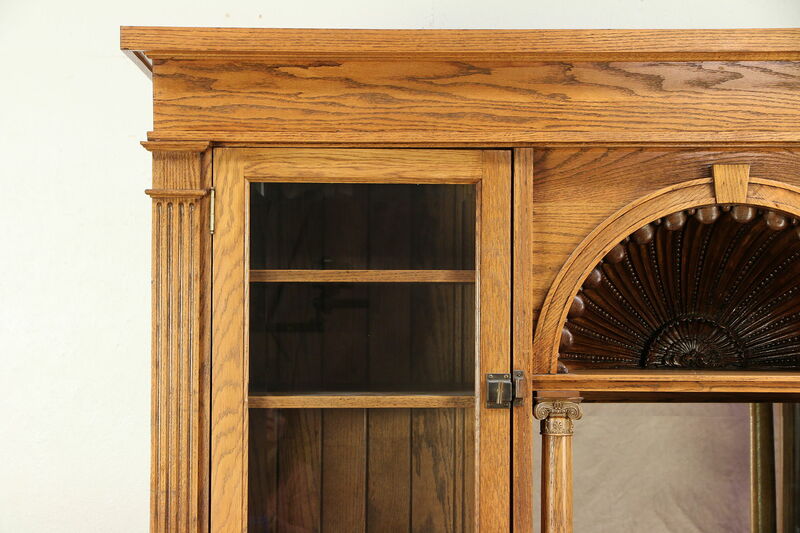 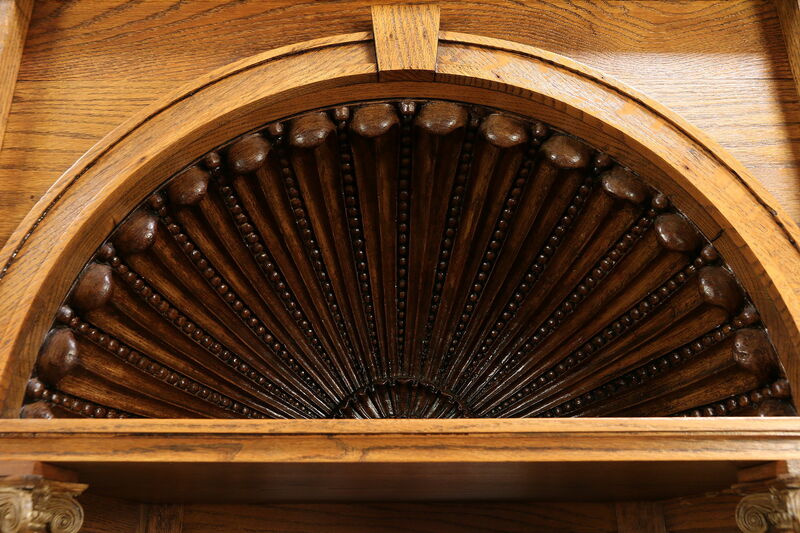 Beveled glass and mirrors, shaped columns and the niche with a shell carved dome are authentic. 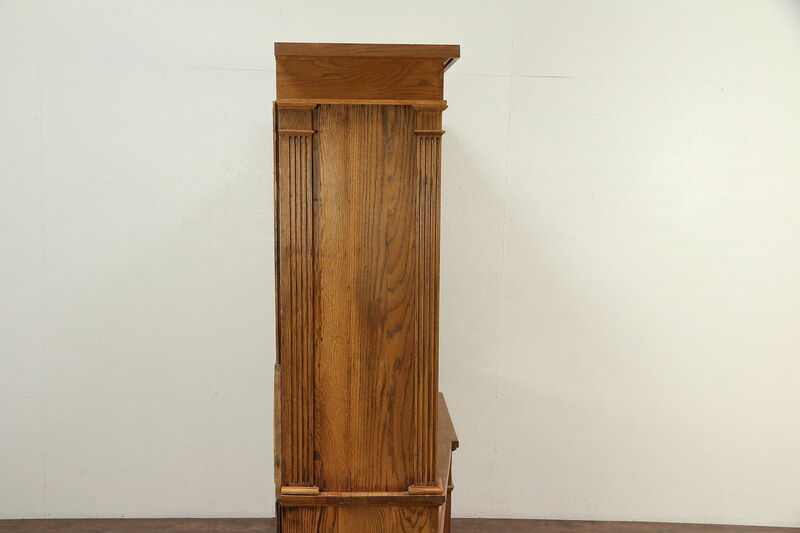 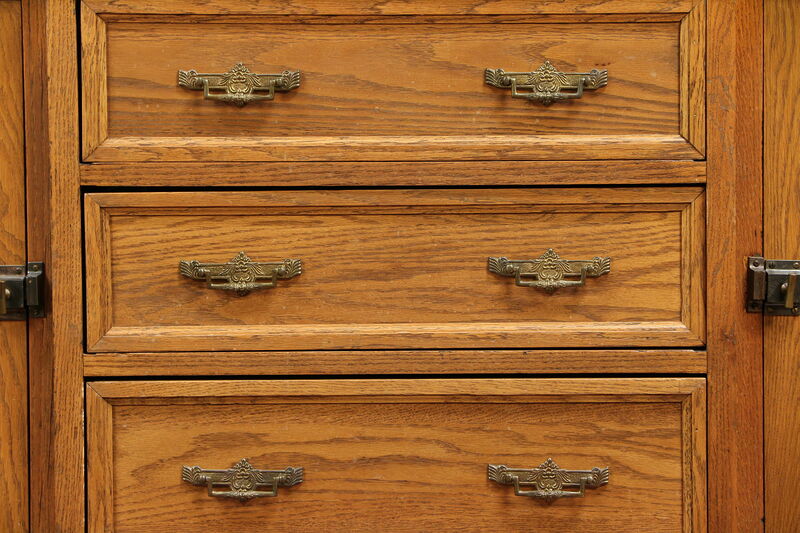 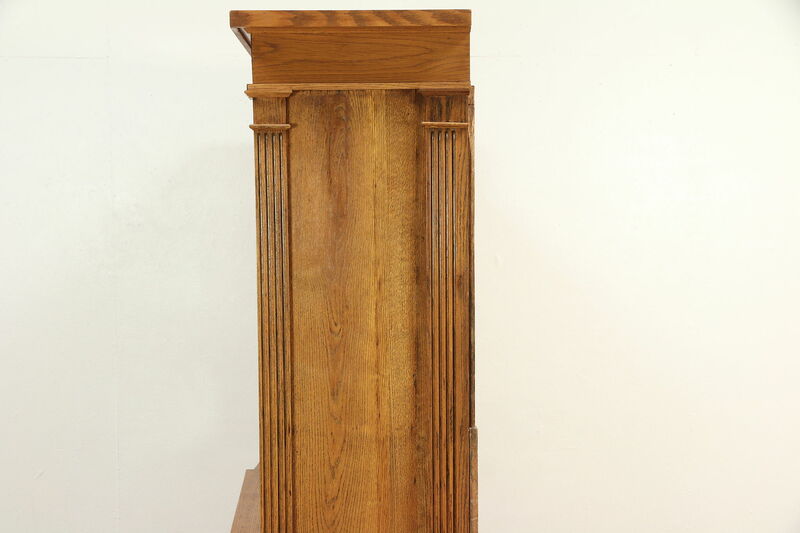 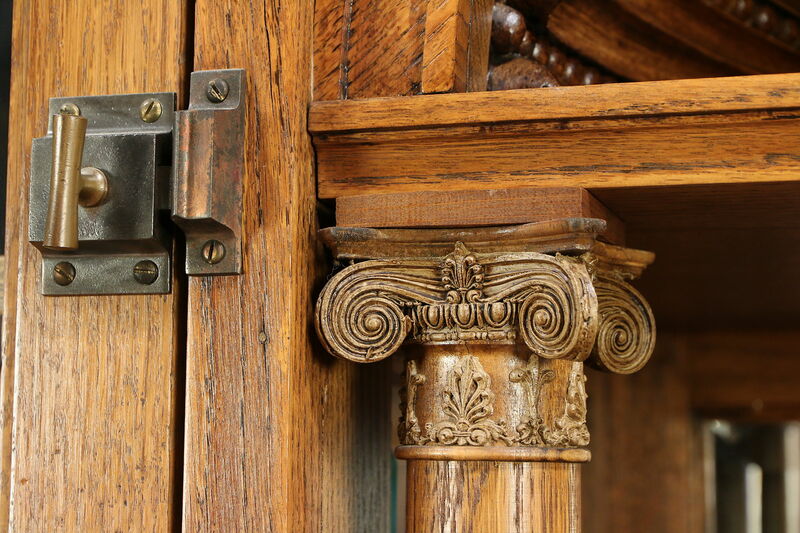 The finish was restored a few years ago, and is in very good condition. 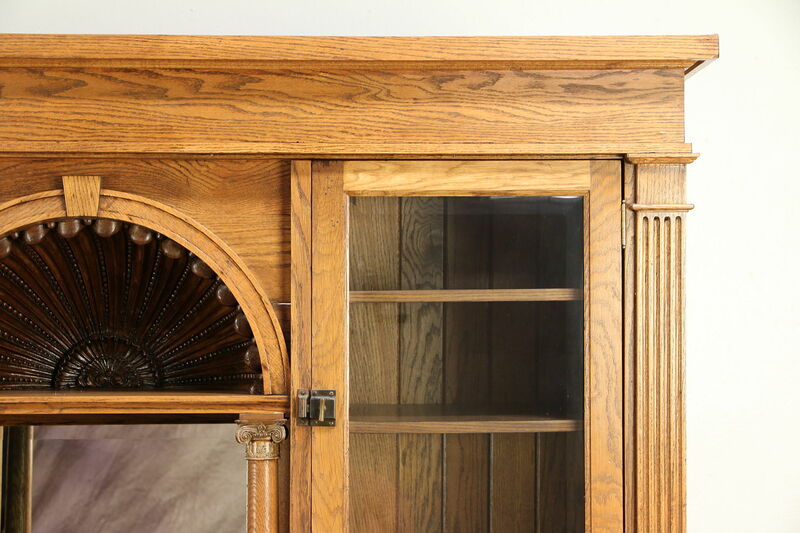 There are shrinkage separations and warps from age plus various restorations over the years. 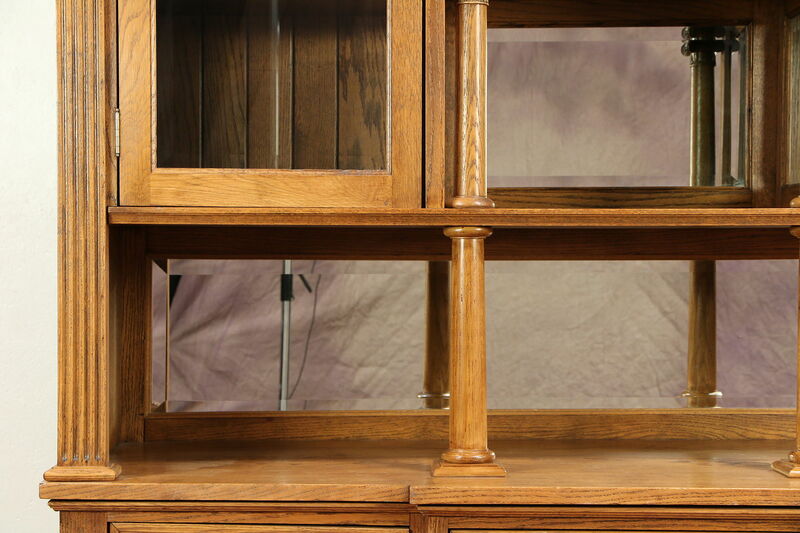 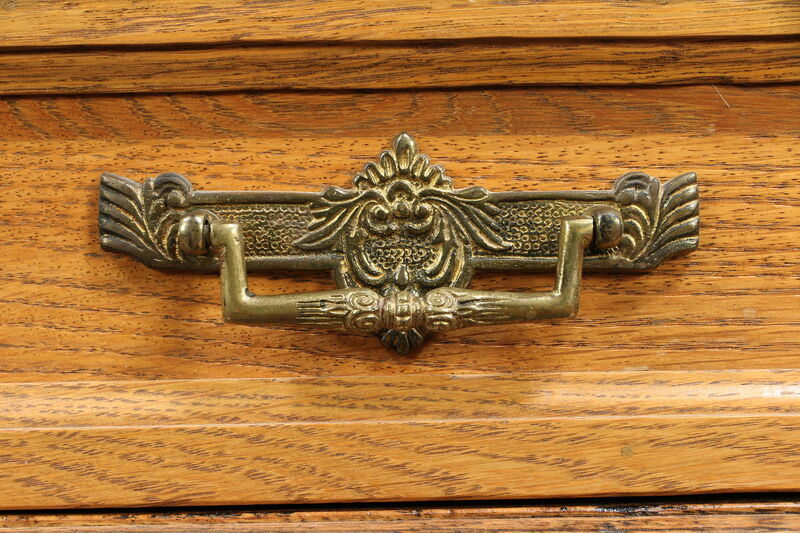 Pulls are solid brass, the back is wainscoting and upper shelves are adjustable. 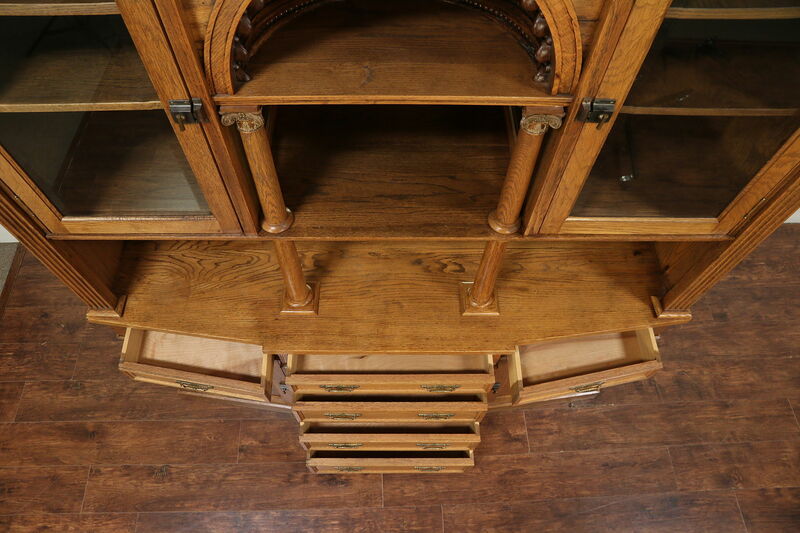 The upper section is a separate piece for easier delivery. 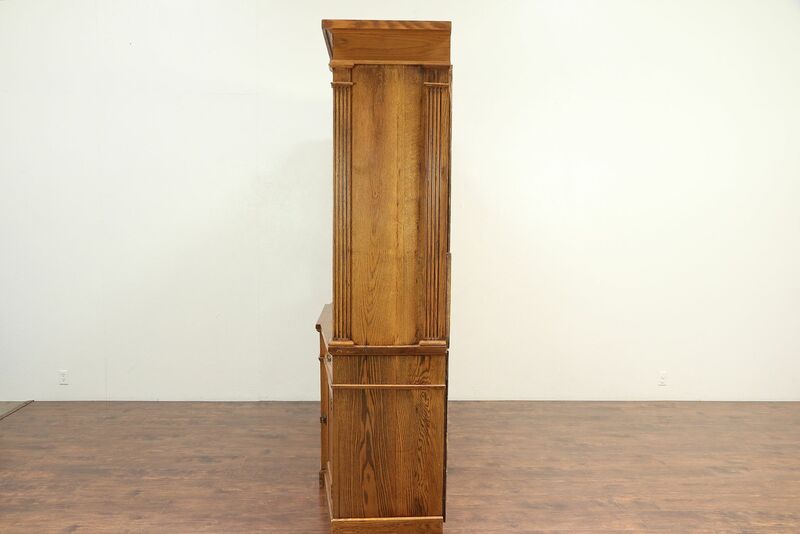 Measurements are 77" wide tip to tip, 92" tall and 22" deep.